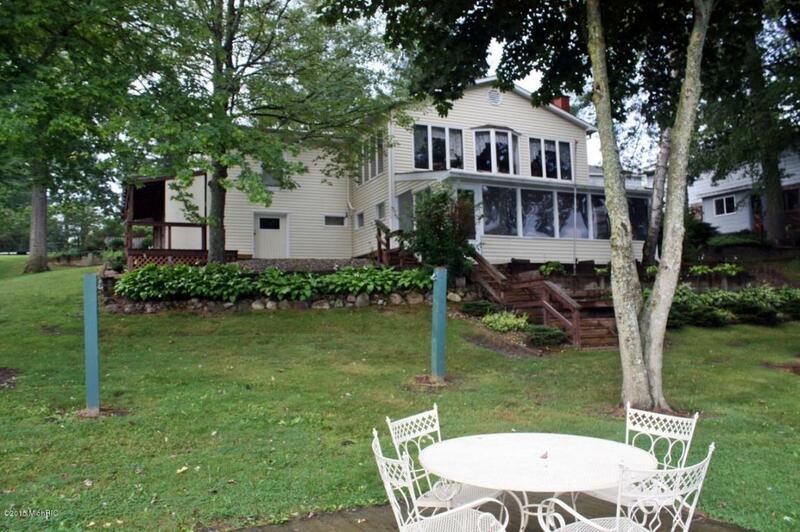 Character plus in this lake home with 80 feet of sandy shoreline on Pretty Lake in Mecosta County. Beautiful 3 bedroom 2 bath home with potential for extra bedrooms in the lower level walkout. Great location off a main road. Two story garage gives room for boats, cars, lawn equipment, workshop and more. Additional workshop space in the lower level. Large wood sheds both inside and out, as this home has two fireplaces - with wood-burning inserts. Great views of the lake from the living and sunroo ms. Lakeside shed for water toys and a nice deck on the beach. Get your hammock ready and be in this lakeside living home before you know it! Great place - a must see home. You will not believe all the space and the charm in this home.